The Grand Oshkosh, Inc. is responsible for The Grand Oshkosh’s performance season and rental activities. Each year, over 25 public performances and approximately 10 youth events comprise the fine arts season with additional activities, including community theater, corporate meetings and weddings, filling The Grand to capacity. To serve the community by promoting and enhancing the performing arts through entertainment and education. 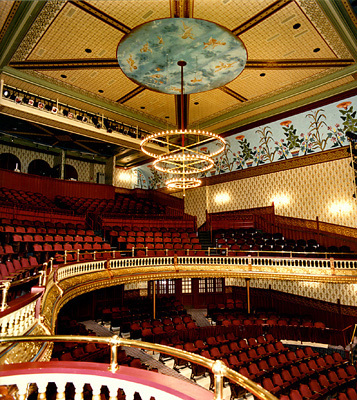 To preserve and expand the significance of the historic Grand Opera House as the centerpiece of a culturally dynamic downtown Oshkosh. Inspire the Grand Community through creative performing arts initiatives.